The inaugural Generation Next Basketball Association tipped this past spring and while the championships wrapped early last month, the post-season awards and festivities are just beginning. Up first is the GNBA All-Star Weekend for 5th and 6th graders August 1-3, 2014 in Milwaukee, Wisconsin. The weekend will tip off on Friday August 1, 2014 with the 2014 GNBA All-Star Games for the 5th and 6th graders and it will be followed by the Junior Generation Next Camp for 5th and 6th graders on August 2-3, 2014. A strong young talent with instincts and potential, Johnson helped the WI PGC to the 5th Grade Gold Division Championship at the GNBA Championships last month. He ranked in the top 5 for GNBA regular season league leaders in Floor Impact, Matrix, Scoring, and Assists categories. A solid young forward who contributes across the board, Vandehei had a strong regular season but he saved his best for the final weekend as he delivered a number of quality performances including a 17 point 5 rebound effort and a 12 point 9 steal 4 rebound performance in the Gold Championship victory over the Nebraska Hoops Elite. A solid perimeter scoring threat with an advanced skill package, Enright guided his Kessel Heat squad to the 5th Grade GNBA Eastern Conference North Division regular season title. He was among the top 10 for GNBA regular season leaders in Floor Impact, Assists, and Steals while averaging a little over 12 points a game and contributing across the board game in and game out. Was the leading scorer for Kessel Heat and ranked among the top 10 in the league for the regular season. Can score in a variety of ways and averaged 14 points a game for the Eastern Conference North Division regular season champions. Trice was a joy to watch at times during the GNBA Championships as he delivered big performances game in and game out with consistency. He scored from all over with performances of 16 points, 23 points, and 17 points during the final weekend and he did so with efficiency from both inside the arc and outside the arc in impressive fashion. He ranked in the top 10 for GNBA Eastern Conference Regular Season League Leaders in Floor Impact, Scoring, FG PCT., Assists, and A/TO Ratio and then proceeded to capture GNBA Championship 5th Grade MVP honors after helping his Illinois Rising Stars to the 2014 GNBA 5th Grade Championship. Peters was in the top 5 for GNBA Eastern Conference Regular Season League Leaders in Floor Impact, Scoring, FG PCT., and Steals and served as a huge component to the IL Rising Stars 5th grade undefeated championship run this past season. A do it all forward with instincts and skill, Baldwin contributed across the board and ranked in the top 10 for the Eastern Conference Regular Season League Leaders in Floor Impact, Matrix, and Rebounding categories. The talented young forward delivered game in and game out during the GNBA Championships and his 8 point, 9 rebound, 4 steal, 2 block performance in the championship was a key factor in the victory over Top Flight. A talented young wing who averaged close to 10 points per game and over 5 rebounds per game during the regular season. Palesse was among the Eastern Conference regular season league leaders in Floor Impact, Matrix, and Rebounds. One of the top long range marksmen in the league, Resch averaged over 10 points per game during the regular season while shooting close to 50 percent from long range. Helped RAS capture the GNBA Silver Division Championship with a stellar weekend run that included 3 double figure scoring efforts including a 20 point 3 assist 2 rebound performance in a loss to the eventual 2014 GNBA 5th Grade 2nd place Top Flight team. A dominant interior talent who ranked among the GNBA top 10 in Floor Impact, Scoring, Matrix, and Rebounds, Braggs is a strong young talent who averaged close to 14 points, 9 rebounds, and almost 3 steals per game during the regular season. He ranked among the GNBA top 10 in Assists, Blocks, and Steals while also ranking in the Eastern Conference top 10 regular season leaders in Floor Impact, Matrix, Assists, Steals, and Blocks. 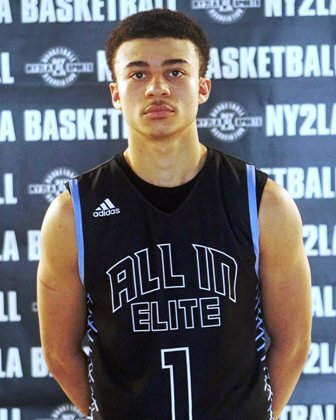 Averaged 8 points, 3 rebounds, 3.2 assists, and 4.5 steals per game during regular season and elevated his play during the GNBA Championships with a number of quality efforts including a 21 point, 4 rebound, 3 assist, 2 steal effort in a loss to the Illinois Rise. Finished in the top 5 for the GNBA regular season leaders in Floor Impact, Matrix, Scoring, and Rebounds. An excellent young talent who averaged over 18 points a game and over 8 rebounds per game while grabbing almost 3 steals per game during the regular season. A solid young talent who contributes across the board, White averaged close to 11 points per game and collected over 8 points per game while shooting 48 percent from the field during the regular season. Helped his team to a second place GNBA Gold Division finish in June while averaging close to 15 points per game. Hepburn was stellar during the regular season as he averaged over 13 points per game, close to 4 rebounds per game, and a little over 2 assists, almost 3 steals, and 1 block per contest. Another do it all forward, Thomas was stellar for the Nebraska squad during the regular season and the GNBA Championships. He led the Western Conference in scoring during the regular season and showed an ability to score from all over the court with a high level of consistency while also attacking the glass and disrupting things on the defensive end of the court. An excellent talent who served as the catalyst for the Top Flight run to the GNBA Championship game. Brown ranked among the GNBA league leaders in Floor Impact, Matrix, and Steals while averaging close to 13 points a game, almost 6 rebounds per game, and close to 4 steals per contest during the season. Another key component to the Top Flight attack, Kody Williams contributed across the board on both ends of the court. 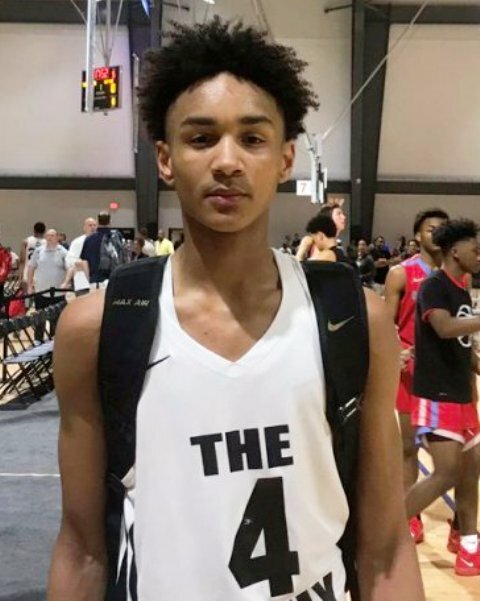 Whether it was scoring, rebounding, or a defensive presence, Williams found ways to contribute and he elevated his play during the GNBA Championships with a number of double figure scoring outputs that helped his squad to the championship game. A do it all interior talent with instincts, Mahlman was amongst the GNBA league leaders in Matrix, Rebounds, and Blocks during the regular season. A dominant interior talent at his age, Mahlman made things happen on both ends with consistency in impressive fashion. A scintillating young perimeter talent, Goodwin was amongst the league leaders in Floor Impact, Matrix, scoring, Steals, and Assists while averaging over 15 points per game, collecting over 10 rebounds per game, and grabbing over 4 steals per game during the regular season. Brown was stellar during the regular season at 11.1 PPG, 3.2 RPG, 4.1 SPG, and 2.6 APG. Brown ranked among the Western Conference regular season leaders in Floor Impact, Scoring, Assists, and Steals. A strong young perimeter talent who was one of the best this season at the 5th grade level, Mitchell ranked in the league leaders in Floor Impact, Scoring, FG PCT., Blocks, and Rebounds and averaged almost 15 points per game and over 7 rebounds per game during the regular season. Had a strong GNBA Championships weekend performance while helping his KC PowerGroup team to a 5th grade Silver Division runner-up finish. A dominant talent across the board who contributed with an without the basketball with consistency. Posted a couple of huge floor efforts during the GNBA Championships including a 23 rebound effort. During the regular season he was among the Western Conference league leaders in Matrix, Assists, Rebounds, and A/TO Ratio categories. Averaged almost 15 rebounds per game during the GNBA Championships. Another solid do it all talent who delivered quality floor performances. Riggs finished amongst the GNBA Western Conference regular season league leaders in Floor Impact, Rebounds, and Blocks. CLICK HERE for more information on the Junior Generation Next Camp August 2-3, 2014. Remember that all GNBA participants receive the GNBA registration discount to the camp so please ask your coach about it. Stay tuned to GENERATIONNEXTBASKETBALL.COM for more information on the upcoming GNBA All-Star Weekends or follow us on twitter @GNBABASKETBALL.